While reviewing the superb answers to this question about free will, I was inspired to leave a comment for Ian that I realized ought to be its own question. As I understand (and possibly misunderstand) Reformed theology, "works" are things that we do, and as such are not included in that which provides justification nor salvation. I then consider the act of will that is making a choice to open one's heart to Jesus Christ, a decision that I finally made in my late 40's to accept salvation through Him alone. Thus began my walk in Faith (though I keep stubbing my toes on those rocks in the road ...). It appears to me that my choice, my decision to accept Salvation through Jesus Christ is a Work since it is something that involved my agency. From a more Determinist and Calvinist perspective, how does my acceptance of Jesus Christ not classify as a Work, since it was something that I did but that I could have chosen not to do? (If other Reformed denominations view this differently, that perspective would also be appreciated in contrast). From my perspective, I feel like I've tripped over a contradiction in the general case of not being saved nor justified by Works, yet it took my agency to accept Christ as my Savior. (It is quite possible that I simply don't understand the theology well enough, hence the question). How does the Reformed/Calvinist theology resolve this (seeming) contradiction? I am under the impression that there are other Reformed denominations than Calvinist, but that may be wrong so the bottom line question needs to be answered from the PoV of Calvinist/Reformed theology. (I am seeking more help in chat to get my terminology right on this). I note that this question is related to my question in addressing the free will issue. You've fallen into a common trap of examining a single piece of a theological system by importing that piece into your own construct rather than seeing how it fits into its own context. A Reformed understanding of soteriology is dependent on several interwoven ideas about God and his role in creation. […] how does my acceptance of Jesus Christ not classify as a Work, since it was something that I did that I could have chosen not to do? One of the points in the classic TULIP acronym that calls out some key points of Reformed soteriology is "Irresistible Grace". The Reformed faith puts God fully in control of all aspects of salvation. He is sovereign and we are not: not even over our own lives. We are his creatures created for his purposes — and for his elect that means that we were created to be called his people and God will have his way. His calling us to repentance and belief is not something we could ignore. It is a gracious gift given to us that once given will achieve its purpose. I then consider the act of will that is making a choice to open one's heart to Jesus Christ, an act of will, a choice, a decision that I finally made in my late 40's to accept salvation through Him alone. A Calvinist would dispute your assertion that this was your own uninfluenced will. We do in fact believe in free will—but only free in so far as it will inevitably act according to its nature. Humans act according to human nature and are limited by it. A bird has wings and can fly. A bird may jump off a branch at will and fly where it will. Meanwhile if I jump out the 8th floor window of my office I will inevitably be scraped up off the sidewalk. I do not have wings and no amount of willing myself to fly will make it happen. I am limited by my nature as a biped mammal. I can use my creativity to construct an parachute or an airplane and to seemingly defy the law of gravity, but this is really not doing anything against nature, only using the laws of physics to my advantage. In spite of the novelty of flight pulled off by the Wright brothers they didn't actually transcend human nature. A fish may swim and breath freely in water, but I cannot. I can hold my breath, or invent a breathing apparatus, or travel in a submarine, I am limited by my physical nature and and endeavors to supplement that are really just extensions of the physical reality we were created inside of. Similarly in a Calvinistic worldview (the T in TULIP) man is inherently sinful. Part of our fundamental nature is depraved: all mankind in Adam transgressed God's commandments and has been from that moment separated from him (we died). Just as we cannot retroactively choose our biological parents or even citizenship at birth (much less choose to be something else entirely) so we do not have a choice at birth about whether we are friends or enemies of God. Or view of original sin is that man is irreparably damaged and by virtue of our birth in Adam have a core nature that both is sinful and will choose to sin. If you want to read up on this point of Reformed soteriology "Federal Headship" is what you're looking for. Only by supernatural (contrary to nature, something only the divine creator himself can do) intervention can we be saved and reconciled to God. Left to our own ends we will inevitably and always make the same choices as Adam. In Adam, there is NONE righteous, not even one (cf. Romans 3). When any human makes a decision to accept salvation through Jesus Christ we believe that Christ through the Holy Spirit began the work regenerating their hearts—removing the heart of stone and replacing it with one of flesh that desires the things of God. Our very first inkling of a desire for God is an undeserved gift of Grace that only the elect will truly experience, and were it not for God first bestowing that grace we would never make that choice. On the flip side having been given that grace, we will inevitably act according to the new natures given to us in Christ: repenting and going on to good works that glorify the Son. ¹ This quote is commonly attributed to Charles Spurgeon, but Spurgeon was in fact acknowledged (Sermon #2843) he got the idea from Rowland Hill, someone who predated him. Whether the quote originated with Hill or whether he in turn got in from some other source doesn't seem to be known. Much like Catholic teaching referred to above faith is a gift of grace, once your eyes have been opened to the truth, having faith is not seen as work because you don’t do it, rather it would involve work to disbelieve. Often the Reformed will emphasise that it is by grace, through faith, not by faith through grace! You have arrived at the final destination of the Calvinist trap. Is obeying God's commands a system of works? Too many people are easily discarding the will of God and throwing out His commands, calling them instead works of man. It is God's will and His command that we believe. Obedience to the command is not a work of man. It is obedience. We are commanded to repent (Acts 17:30). Does that mean that we have done that which God commanded that we have performed a "work"? Our good deeds are also commands of God. We were created for good works (Eph 2:10). Are we then being saved by works? No, we are obeying His commands to love one another.
" A new commandment I give unto you, That ye love one another; as I have loved you, that ye also love one another. If we follow the line of thinking that responding to His command is a work, then we would all have to stop loving one another. Thus, baptism (immersion) is the response to a command of God. Mark 16:16, " He that believeth and is baptized shall be saved; but he that believeth not shall be damned." (KJV). Who is doing the saving when we believe and are immersed into Christ? Who is writing our name in the book of life when we obey the command? (Phil. 4:3; Rev. 21:27). It is God who is doing the work at baptism, not us. "Even so faith, if it hath not works, is dead, being alone. Abraham believed God and obeyed Him, and God counted it for righteousness. I can stand on the sidewalk and shout till my throat is raw that I believe God, but if I do not do His will and obey His command, all my noise is only a show for mankind and counts for nothing with God. There are therefore works of righteous faith, and works of unrighteous unbelievers. Which is which? Believing, having faith in God moves us to action. Those actions that are a response to God's command are accomplishing His directives, and accomplishing His will. Not our will, but His will. First, I am not a Calvinist and do not subscribe to Reformed theology, but my theology in this case would likely align with Reformed belief, although I haven't verified this. My perspective may fall under your category of "other perspectives." Romans 4 addresses the issue directly. Here we have works and belief contrasted. Works and faith are also contrasted in Ephesians 2. It is important to note these contrasts, while also avoiding the neglect of passages that call those of the faith to good works. Believers are called to good works, but that's always after believing, which is not a work but could be considered a position or disposition. The position is "in Christ, by faith." Not the answer you're looking for? 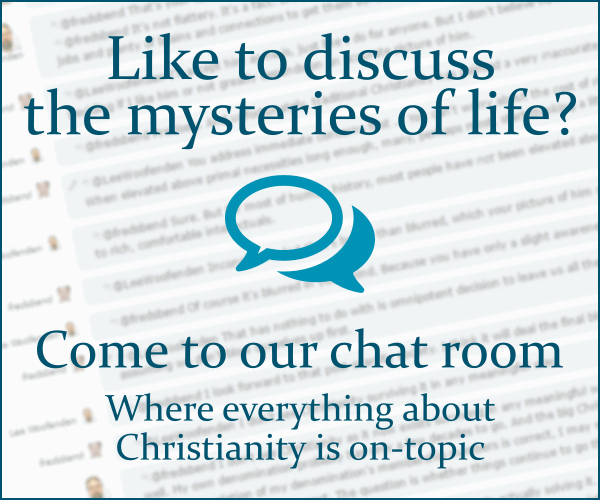 Browse other questions tagged soteriology reformed-theology works or ask your own question. In Calvinism, why does free will to accept salvation seem to take away from God's glory? How do opponents of Decision Theology distinguish themselves from Universal Salvation? How are the teachings in the Book of James consistent with Salvation by Grace alone?